We got word of a storm heading to Rexburg, so we decided to pack our bags and leave town for our Thanksgiving vacation a little bit early. We're down in Utah with my parents for a few days, before heading to California for our Thanksgiving celebration, and meeting our new neice, Gwen. One benefit of coming down early, was getting to see my brother play in the orchestra for the school muscial, Beauty and the Beast. Zoe was one lucky girl. She got to meet Belle after the show. She was a little nervous if you couldn't tell. 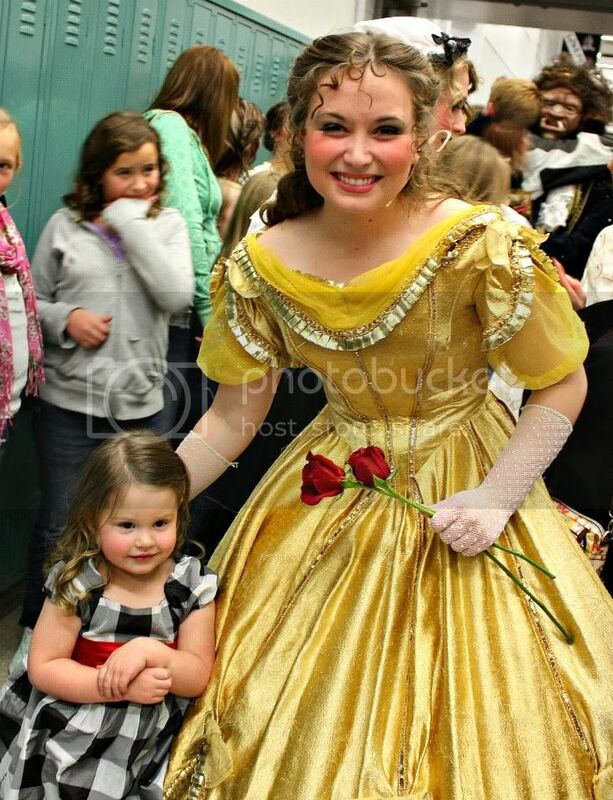 This was Zoe's first play and first time seeing Beauty and the Beast. Some of the show was a little intense but overall, Zoe enjoyed the show and I'm happy we decided to take her. I hope you are having a magical weekend.